Driving from the airport to my homestay, I couldn’t hear a horn honking and the streets looked clean from plastic rubbish, I definitely wasn’t in Mumbai anymore. I had however gone from sea level to 3,500 metres in altitude in 4 hours, which very quickly turned into mild altitude sickness: a thumping headache and lethargy sent me to bed for 15 hours, delaying my exploration of this new town. 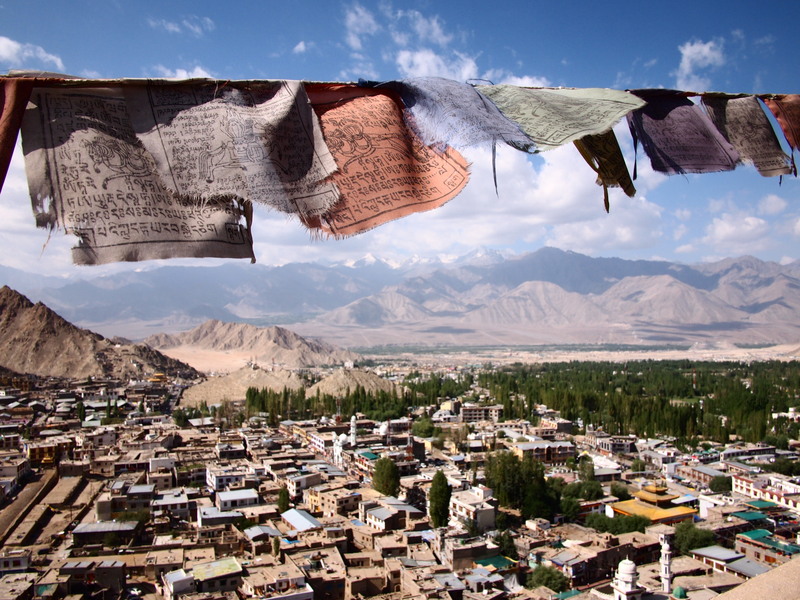 Leh is a small town, but its a friendly place and one I think I could easily spend a couple of weeks exploring. 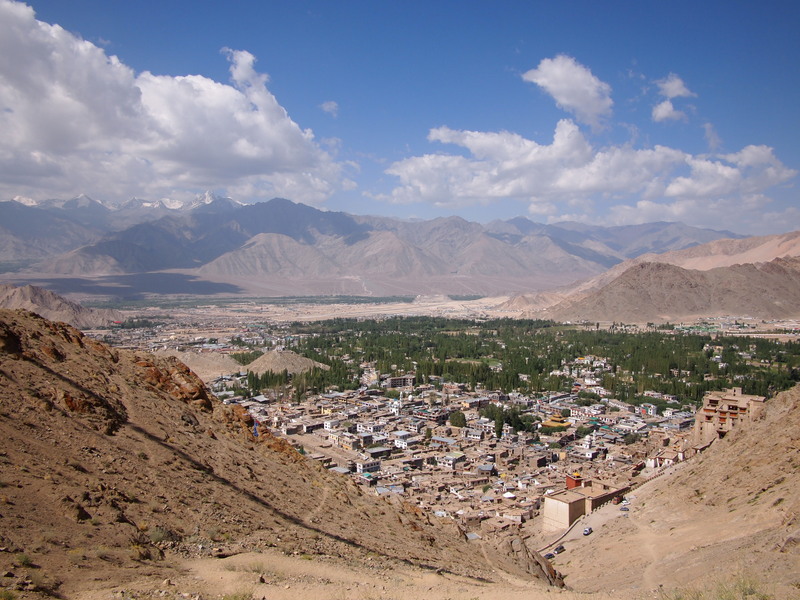 Dominating the valley is Leh Palace and Tsemo Fort, both perched on the hillside. 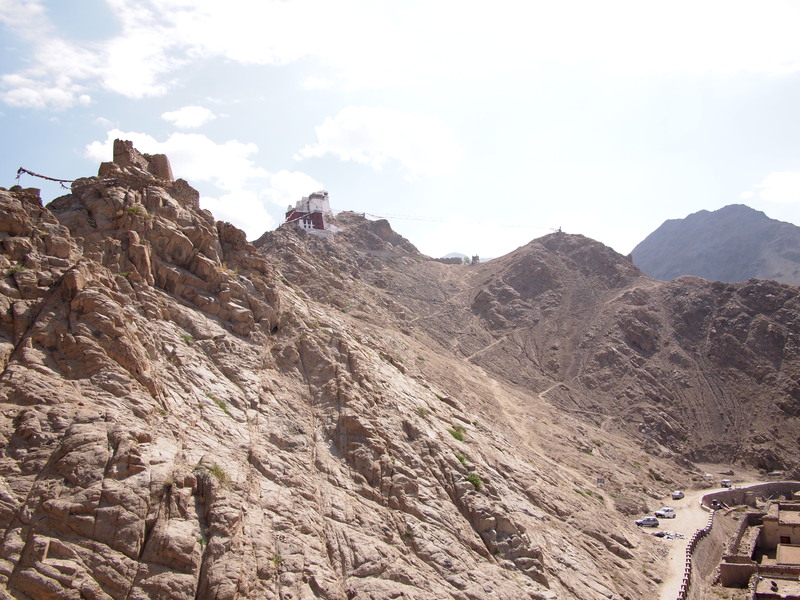 Walking up to Leh Palace is a gentle walk uphill, passing a few gompas on the way. 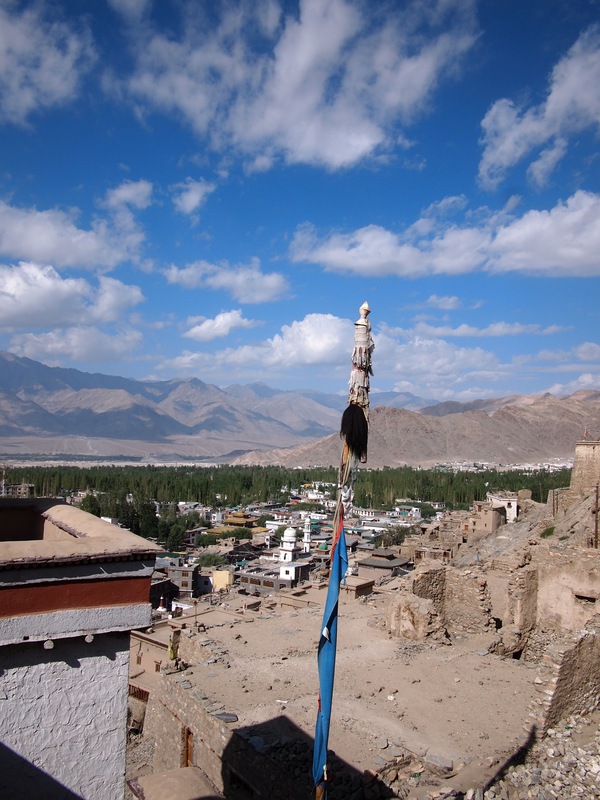 Whilst Leh Palace itself is not too exciting, it is being restored currently and I imagine it will be more interesting in the future, the view over the town is just stunning. From the palace its a short distance to Tsemo Fort, but the path up to it is rather daunting, zig zagging its way on the side of the hill. It actually looked a lot more daunting than it was, but I apprehensively gulped my water down before heading up the dirt path. It was worth it. Looking over the city from the top provided a different perspective from Leh Palace, and there were a few different parts of the Fort to explore. From the back of the Fort you can walk down a different path that leads you towards the city again. 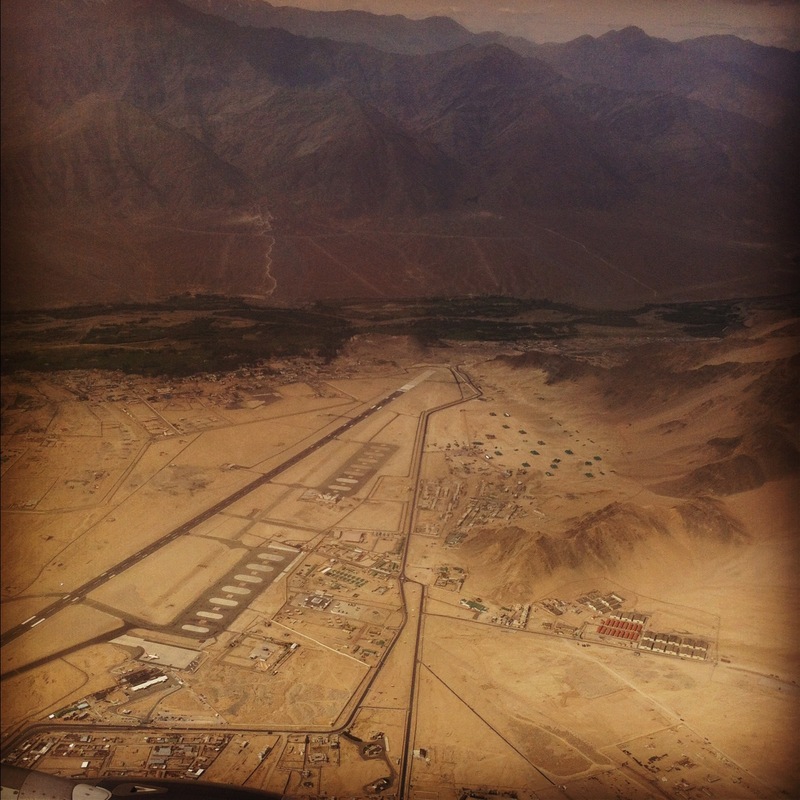 Its another side of Leh, green and lush, such a contrast from the dry dust and harsh environment of altitude. This short trek reminded me how much I had missed being outdoors, taking deep breaths and enjoying fresh air. Whilst I was still in India, Leh felt like the I was in another country. I am not sure if it was the clean air, change in environment or peaceful atmosphere, but this was removed from the India I have seen and explored. It was a whole other side that I had yet to experience. I went back to my homestay early to pack and get ready for my trek that was to begin the next day. 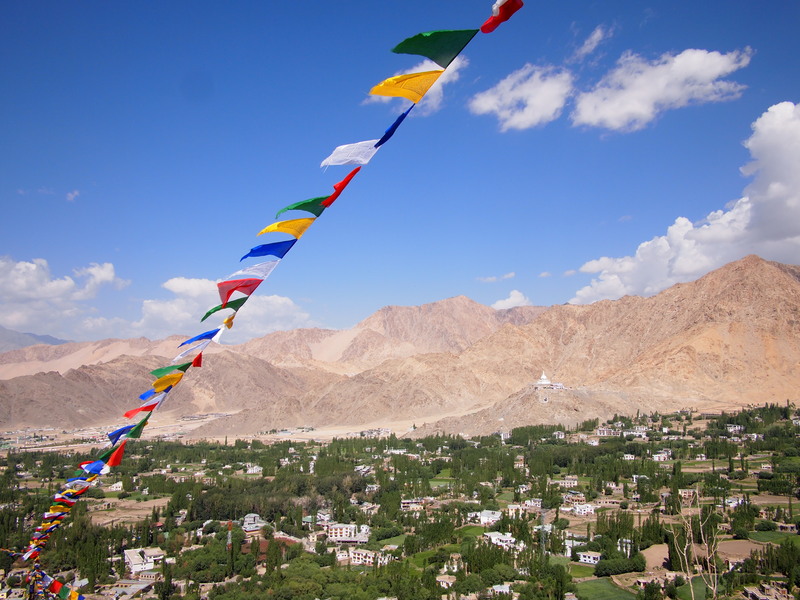 I couldn’t wait to get out and see more of Ladakh.